Happy Christmas and a Happy New Year ! To everyone who now reads this Blog !! A Happy Christmas and a Happy New Year ! Well sorry we haven't blogged for at least a month but we have been very busy every weekend! We saw Bruce Springsteen, Bon Jovi, and George Micheal just to show what music fans we are, and still had time to go to a 60th Birthday party and 40th wedding anniversery! So has Derwent6 been on the back burner? 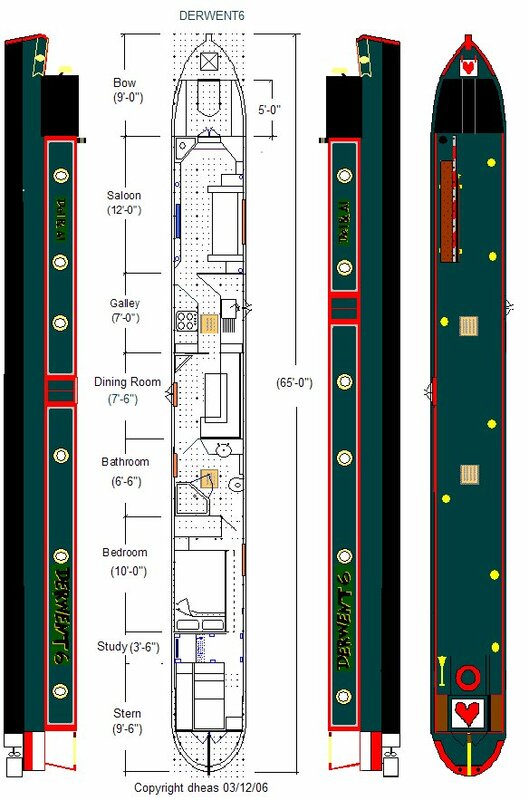 There has been a few changes since our last meeting with Fernwood, one being that we have decided to go with a Corner Bubble multi fuel fire and we are now going to have Gas on board for cooking. We went up see Julia and Ken and discussed the plans (and we thought the price) but again changes were made. 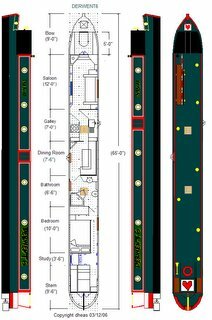 Derwent6 will now be a 65foot Trad with a extra foot added to the engine room and 6 inches to each, the dining room and study. We came out of there with our heads swimming, but we did come out with the hull build booked in April 2007. We also went back up to see Jim Sparks (the hull builder) and are still convinced he is the way to go. We have done little to the house at the moment with Christmas looming up on us and the shorter days but have still been planning 2007 with precision.